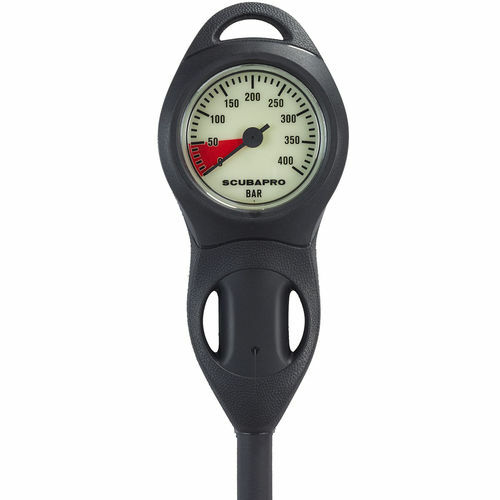 A pressure gauge that is compact and reliable makes for easy diving. This economical plastic-case gauge comes complete with a U-Line rubber boot and HP hose. It is available in 0-6000psi imperial or 0-400bar metric versions.